﻿ 254 SMO Compression Tube Fittings, SMO 254 Ferrule Fittings Exporter. 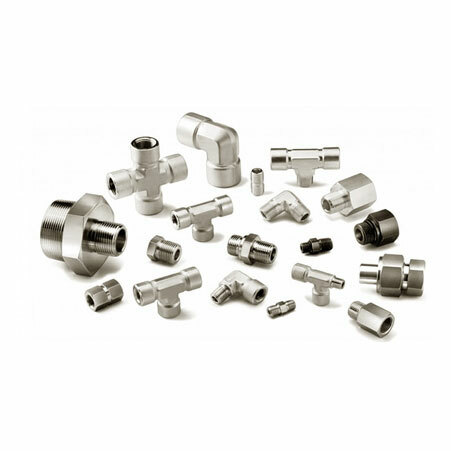 ASTM B366 SMO 254 Ferrule Fittings Manufacturer, 254 SMO Compression Tubes Exporter, SMO 254 Male Elbow Supplier In Worldwide. We, at Amcometals, service our customers with a premium quality product profile, assisting them to find a suitable one for their requirements. We focus on cultivating quality and innovation in all our products through consistent efforts and quality control. Being an ISO 9001: 2015 certified company; we find ourselves building and sustaining customer oriented engagements. We are a manufacturer, trader, stockiest, supplier and exporter of SMO 254 Ferrule Fittings. Our SMO 254 Instrumentation Fittings do not stand in need for soldering; they work well for the pneumatic systems. 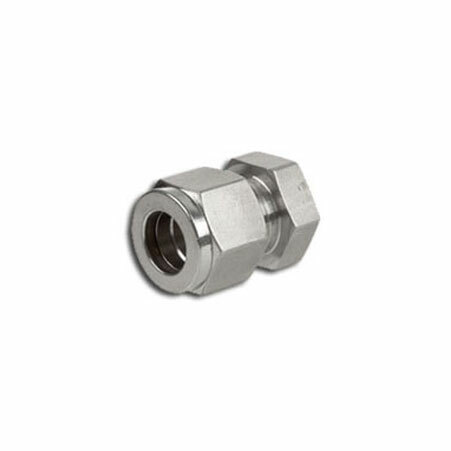 Our SMO 254 Ferrule Fittings are resistant to general corrosion. 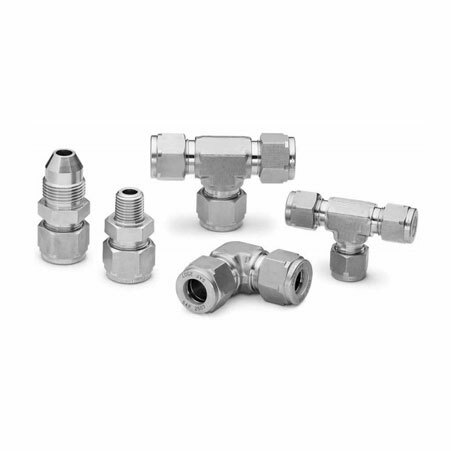 We deliver SMO 254 Double Ferrule Fittings to the organic acidic production and heat exchanger application industries since they are built for robust, heavy wear applications. We have delivered sustainable and economical products for the past 25 years. We offer customization on all our products to help customers get the products that suit their requirements perfectly. SMO 254 Male Branch Tee Manufacturer, 254 SMO Straight Union Supplier, SMO 254 Ferrule Fittings Supplier In India. Lithuania, Portugal, Malaysia, South Africa, Bangladesh, Belarus, Qatar, France, Denmark, Philippines, Jordan, Croatia, Thailand, Iran, Colombia, Afghanistan, Germany, China, Netherlands, Poland, Kenya, Iran, Ireland, Gambia, Indonesia, Libya, India, Zimbabwe, Canada, Belgium, Mongolia, Nigeria, Austria, Brazil, Hong Kong, Greece, Bhutan, Japan, Macau, United Kingdom, Russia, Egypt, Chile, Ghana, Poland, New Zealand, Peru, Israel, Estonia, Venezuela, Slovakia, Bulgaria, Kazakhstan, Mexico, Azerbaijan, Taiwan, Sri Lanka, Italy, Namibia, Trinidad & Tobago,Tunisia, Serbia, Argentina, South Korea, Switzerland, Algeria, Sweden, Chile, Spain, Bolivia, Costa Rica, Kuwait, Bahrain, Saudi Arabia, Australia, Vietnam, Ukraine, Iraq, Turkey, Singapore, Finland, Yemen, Puerto Rico, Mexico, Nigeria, Tibet, Norway, Nepal, United Arab Emirates, Romania, Morocco, Ecuador, Pakistan, Czech Republic, Gabon, Oman, United States, Lebanon, Hungary, Angola. Mumbai, Karachi, Hanoi, New York, Ahmedabad, Surat, La Victoria, Hyderabad, Ernakulam, Caracas, Coimbatore, Nagpur, Doha, Bangkok, Thiruvananthapuram, New Delhi, Kuala Lumpur, Bengaluru, Ho Chi Minh City, Vadodara, Rio de Janeiro, Visakhapatnam, Los Angeles, Pune, Singapore, Granada, Howrah, Mexico City, Indore, Petaling Jaya, Aberdeen, Al Jubail, Jamshedpur, Sharjah, Chiyoda, Moscow, Riyadh, London, Haryana, Muscat, Dallas, Baroda, Dammam, Chandigarh, Geoje-si, Algiers, Istanbul, Lagos, Manama, Navi Mumbai, Ranchi, Faridabad, Seoul, Montreal, Lahore, Milan, Thane, Calgary, Colombo, Kolkata, Dubai, Rajkot, Toronto, Ahvaz, Perth, Bogota, Secunderabad, Noida, Tehran, Vung Tau, Courbevoie, Madrid, Jaipur, Melbourne, Gimhae-si, Jakarta, Kuwait City, Ankara, Houston, Chennai, Al Khobar, Bhopal, Ludhiana, Abu Dhabi, Edmonton, Ulsan, Hong Kong, Atyrau, Kanpur, Nashik, Busan, Pimpri-Chinchwad, Brisbane, Cairo, Sydney, Port-of-Spain, Gurgaon, Jeddah, Santiago.